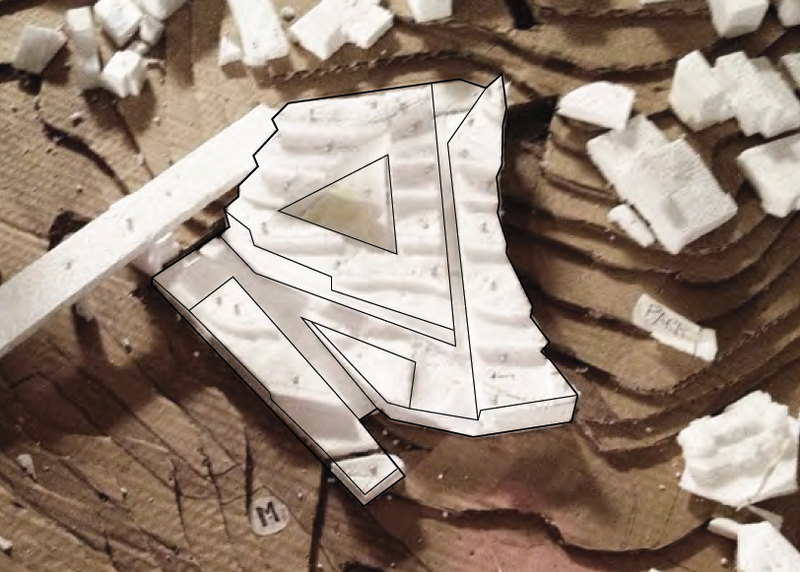 This urban design project, realized by University of Calgary architecture students Lindsay Horan, Will Frank, and Alana Piche, proposes to urbanize a degraded hillside in the steep Vallcarca valley of Barcelona; adjacent to where a viaduct crosses the busy valley road. 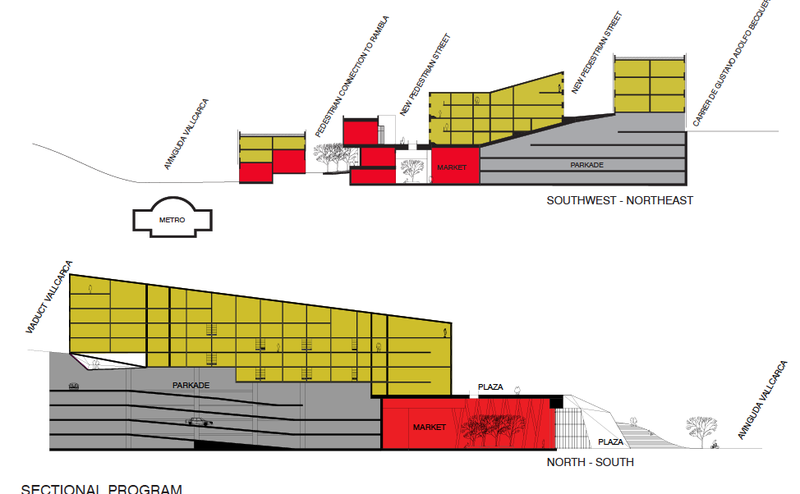 In order to take advantage of an existing metro line beneath the valley road, and in light of the absence of amenities in the area, a food market and plaza are proposed at this lowest point, connecting directly with the metro station. 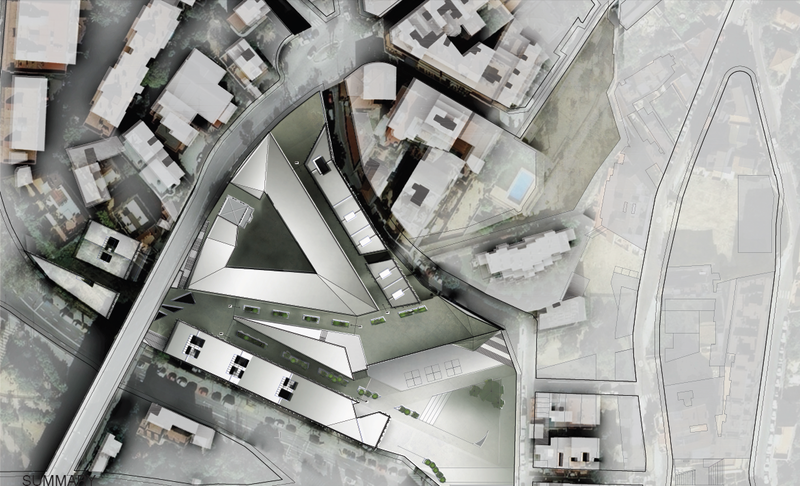 Behind this new market, a residential street gently winds its way up the hillside in a series of serpentine turns that mitigate the steep terrain while optimizing stepped building massing for views and access to open space. 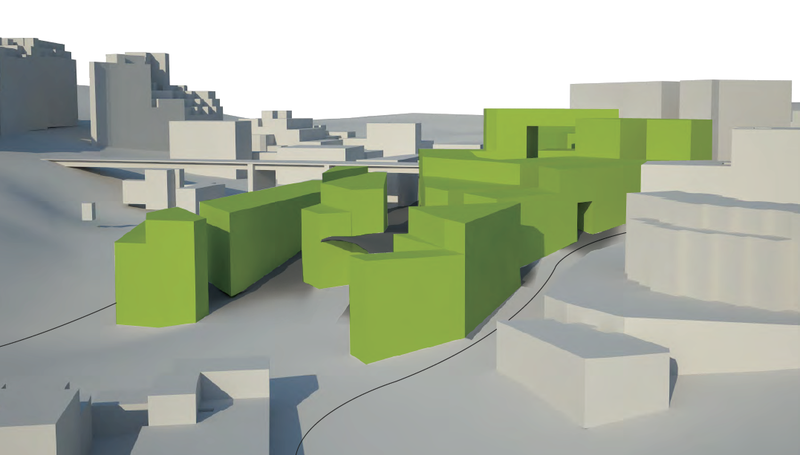 At the highest point of the site, an existing historical villa adjacent to the viaduct road is maintained and converted into a community centre for the new neighborhood. The heritage villa becomes an entrance feature to a communal space situated within the courtyard of a triangular perimeter block. 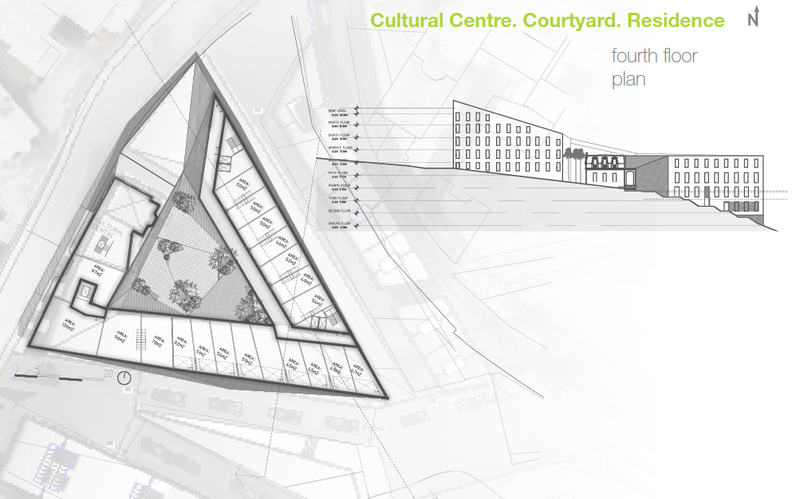 The foundational plinth beneath the entire building complex contains parking for residents and visitors, as well as loading bays and storage space for the market.